Stardew Valley the laid-back agricultural role-playing game originally released for Windows PC in 2016, is now available on Android. Until now, the mobile version of the game was exclusive to iOS, having arrived on the iPhone and iPad last October. For those who keep track, the version means that the game is now available on PC, Mac, Linux, PS4, Xbox One, Switch Nintendo, iOS, Android and even on PlayStation Vita. 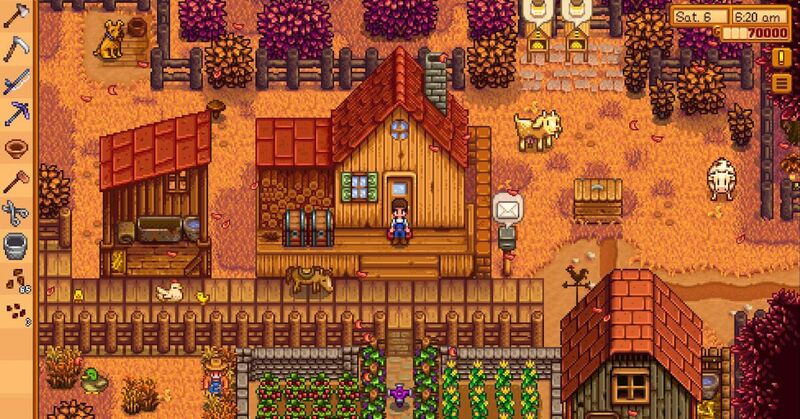 In addition to the control changes, the mobile version of Stardew Valley is the same game as its console equivalents. The main objective is to build a farm from scratch by building and investing in increasingly expensive crops and livestock, but there is also a whole city of characters to build relationships with and secret raid areas for high level equipment and resources. Like the iOS version of the game, you can import your Stardew Valley saved from the Windows version using the instructions in the game wiki, even if it is a much less twisted process on Android. Rather than having to use iTunes, just connect the Android device to the PC and copy the saves to the phone's internal memory. Stardew Valley's Android port is now available for $ 7.99 (£ 7.99). For that price, you are getting the full experience, without microtransactions to tempt you to spend more.